This indispensible self-help guide is for anyone suffering from chronic pain (any of us, really) and struggling to understand why standard medical approaches have failed them. 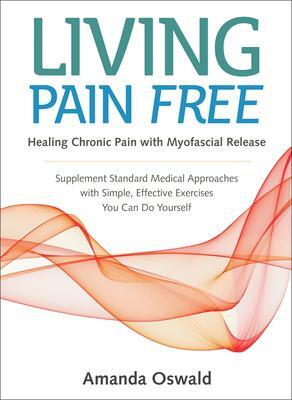 Taking a mind-body approach, the book clearly and simply explains how chronic pain develops, and why an understanding of fascia—the main connective tissue in the body—is the key to restoring pain-free movement and health. Author and myofascial release expert Amanda Oswald informs readers about the role of fascia in chronic pain and empowers them to help themselves through simple and effective self-care techniques, stretches, and exercises. If you do not believe me, try it for 10 days in combination with releasing your fascia. You may pee a lot at first, but this is because your dehydrated tissues cannot absorb all of the water you are putting into your body. However, as you stretch and release your fascia more, gradually your tissues will retain more of the fluid. As they do, you will start to feel better. You will feel less tired, and more energized. Your body will work more efficiently to detoxify itself and it will start to feel like it is moving well, more fluidly. The holding patterns that develop from fascial restrictions are learned behaviors, and as these are unlearned, so the body can unwind. As this happens, both physical and emotional restrictions are released. This is myofascial unwinding. This process of unwinding and change has been described as removing layers, like peeling an onion. As each layer is uncovered, or rather re-discovered, people feel a regression through the stages of their symptoms, until they reach the original pain that started it all. They are often surprised by the familiarity with which they can greet their old pain and then let it go. This indispensible self-help guide is for anyone suffering from chronic pain and struggling to understand why standard medical approaches have failed them. Taking a mind-body approach, the book clearly and simply explains how chronic pain develops, and why an understanding of fasciathe main connective tissue in the bodyis the key to restoring pain-free movement and health. Author and myofascial release expert Amanda Oswald informs readers about the role of fascia in chronic pain and empowers them to help themselves through simple and effective self-care techniques, stretches, and exercises.